A location's climate is generally described by the long-term average of temperature and precipitation. The word itself is derived from the Greek klima, which means "slope." The well-traveled Greeks were aware that the countries lining the northern Mediterranean coast were warm and relatively moist compared to the dry desert regions east and south of the Mediterranean, and that countries in what we now call northern Europe were much colder. Trying to make sense out of these differences, they concluded that the angle (or slope) of the Sun's rays, which depend on latitude, made the difference. Climate is influenced by more than latitude. As some scientists had hypothesized at the turn of the century, the amount of carbon dioxide and water vapor in the air might make a difference. Alfred Wegener considered how the positions of continents could make a difference in observed climate while developing his theory of continental drift, first posed in 1912. The U.S. Weather Bureau cloud physicist William Jackson Humphreys (1862-1945) and the Smithsonian Astrophysical Observatory director Charles Greeley Abbot both proposed in 1913 that volcanic dust could influence climate by blocking solar radiation. Despite these efforts to determine causal mechanisms for climate, most climatologists were content to classify climates. The task of climate classification would also face its own difficulties. The main problem facing climatologists was to decide which weather elements (temperature, precipitation, humidity, cloud cover, prevailing wind) would be adopted to separate one climate from another. Even if just one weather element, temperature, for example, were selected, what attribute of temperature would one use? Would one use the average temperature? Two regions might have the same average temperature, and yet one might experience a daily temperature range of only 20°F (11°C) while another experiences a daily range of 60°F (28°C). The climates would be very different. The first would be relatively mild if the average turned out to be 60°F (15.6°C) with a high of 70°F (21°C) and a low of 50°F (10°C)—typical for a coastal location. On the other hand, the second example would provide a region with a high afternoon temperature of 90°F (32°C) and an overnight low of 30°F (-1°C)—typical for a desert. Clearly those two locations do not have the same climate. To be useful, a climate classification scheme had to make use of years of old data that had been stacking up in boxes, as well as data that continued to flood in every month. There were three basic climate schemes. The first was just a simple, descriptive scheme. It might describe a region by using some combination of vague references to temperature and humidity: hot and dry, warm and moist, cold and dry, or cold and moist. The second type compared climate with vegetation and emerged from the close relationship between naturalists and weather observers. Climate types were based upon the predominant form of plant life. An area covered in fir trees, for instance, would have a different climate from one covered with sagebrush. 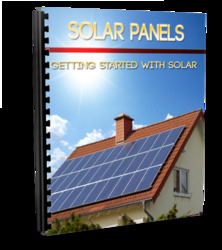 The third type of climate scheme tried to relate climate with the people who lived there and their way of life. For example, a region where people lived in igloos and donned sealskin garments had a different climate than a region where people lived in grass huts and wore few clothes. None of these schemes was very specific, and none was sufficient for climatologists looking for a more scientific climate scheme. 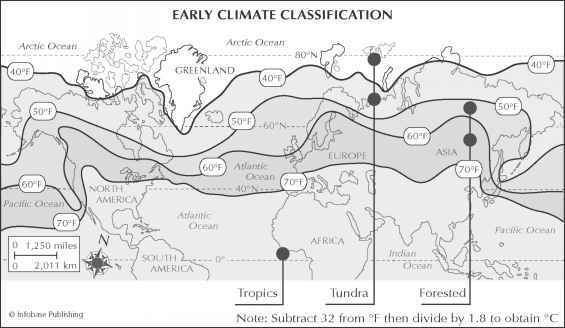 Wladimir Koppen's first attempt at climate classification focused on the location of the 50°F (10°C) and 68°F (20°C) lines of average summer temperature. The Serbian mathematician Milutin Milankovitch (1879-1958) was more interested in the mechanisms behind climate change than in regional climate classifications. Beginning in 1911, he spent 30 years researching the causes of long-term climate change. Milankovitch focused on changes in Earth's orbital characteristics and their influence on the amount of incoming solar radiation received on Earth's surface. Planets follow elliptical paths around the Sun, but those orbital paths change slightly each year. Three characteristics of Earth's orbit slowly change over tens of thousands of years: the tilt of Earth's axis, the eccentricity (or degree of circularity) of Earth's orbital path, and the orientation of the axis of rotation (known as the wobble). These characteristics exhibit different cycles of change that affect the amount of insolation. Earth rotates on an axis that forms an angle of 23.5° with the vertical. This is not a constant angle. It varies from 21.5° to 24.5° over a period of 41,000 years. When the angle is smallest (21.5°), there is a smaller difference between summer and winter temperatures than when the angle is greatest (24.5°). With a larger angle, winters are colder and summers are hotter because the insolation enters less directly in winter and more directly in summer. The orbital eccentricity changes over 100,000 years, from being more circular (as it is now) to being more elliptical and then back to circular. When it is more circular, then the distance from Earth to the Sun changes little between seasons. When the orbit is at its most elliptical, there is a significant difference between the distance to the Sun in winter and in summer. The effect of eccentricity on Earth's climate also depends on the last orbital characteristic: the wobble. The Serbian Milutin Milankovitch argued that incoming solar energy increases or decreases with changes in (A) orbital eccentricity, (B) axis tilt, and (C) axis orientation (wobble). Hemisphere). About 10,000 years ago, Earth was closest to the Sun during the Northern Hemisphere summer. That means it would have been hotter in the summer and colder in the winter in the Northern Hemisphere than it is today. In another 10,000 years or so, Earth will return to that situation. The effect of these three orbital characteristics becomes clear when the extremes all match up. If the orbit is at its most eccentric and the wobble puts Earth much farther away from the Sun during the Northern Hemisphere winter, and if the angle of the axis is such that it is tipped away from the Sun during winter at 24.5°, then winters will be much colder and summers will be much warmer. None of these orbital variations changes the total amount of sunlight that strikes Earth's surface. They change the distribution of that sunlight that Milankovitch thought influenced the occurrence of ice ages. Milankovitch looked at astronomical data for the 600,000 years prior to 1800 and hand-calculated the amount of insolation at different latitudes for each year. He then predicted that these cyclic changes would induce ice ages when the amount of solar radiation was the least during the summer months, thus reducing the summer snowmelt in high latitudes. Snow that fell during the winter would survive through the summer, to be added to that of the next year. Over thousands of years, the ice would build up and form glaciers, and those glaciers would advance toward the equator and produce an ice age. Milankovitch continued to perfect his calculations and compare the results against paleoclimate data through the 1950s. Although new evidence of ice ages seems to match Milankovitch's periodicities, this remains a controversial theory for climate scientists. struck some climatologists as a step backward because it seemed less "scientific" than just using weather elements. By 1900, Koppen had revised his scheme to include the distribution of precipitation and concluded that there were six basic climate zones and 24 varieties of climate. Most climate varieties were associated with the plants and animals that lived in the region. 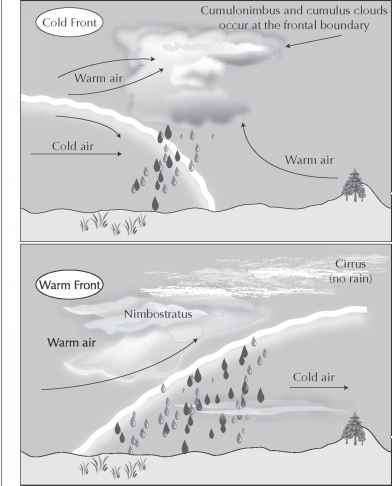 The dividing lines between climates were dependent upon maximum and minimum temperatures and the amount of precipitation. He had a difficult time determining just what constituted an "arid" climate, since regions as different as the Sahara and Antarctica are both arid. Continuing to revise and expand his ideas through the second decade, Koppen unveiled his improved scheme in 1918. Abandoning the connection with vegetation, he attached geographical names to the regions, for example, tropical forests or deserts or savannas. Koppen used letter codes so users could instantly identify a region's climate on a climate map. Koppen's climatological studies and those of national weather bureaus were especially critical to agricultural interests. In the United States, most states had their own climatologist, whose job it was to determine the state's climate types and to advise farm bureau extension agents on crop selection. By the third decade of the century, Koppen's increasingly complex climate scheme was adopted around the world. The development and use of the ultimate Koppen climate classification scheme are discussed in chapter 4. Vilhelm Bjerknes spent most of the first half of his life attempting to establish a career in physics, only to see it effectively derailed by his father's incessant demands for his assistance. After he decided to apply his circulation theorem to the oceans and atmosphere, his career opportunities improved dramatically. Because of the reputation he had built in Norway, Bjerknes was asked to direct the new Leipzig Geophysical Institute in 1912. Creating a dynamic research program seeking to establish a physical and mathematical basis for describing the future states of the atmosphere, Bjerknes attracted not only some of his colleagues from Norway, but many of the top minds in Germany. When World War I began in 1914, many of his German assistants were called away to support the war effort and Bjerknes found his research program understaffed. After three more difficult yet productive years, Bjerknes returned to Norway to fill a post with the new Bergen Geophysical Institute and the Bergen Museum (now part of the University of Bergen). At 55, Bjerknes had firmly established his reputation as one of the great men of meteorology. He combined research into theoretical meteorology with improvements in practical forecasting techniques to create a unique research school that attracted scholars and graduate students from all over the world. Bergen School scientists worked together to create a theory of cyclonic development that came to be known as the polar front theory and a method of weather data analysis known as air mass analysis. Vilhelm Bjerknes's desire was to make the Bergen School the dominant training and research organization in international meteorology. To achieve that goal, he scoured Sweden to recruit graduate students and published his results in English language scientific journals such as Nature and Monthly Weather Review. Bjerknes also taught courses in his new analysis techniques and encouraged students from throughout Scandinavia and Germany to attend. These young converts to Bjerknes's theories returned home to teach others and spread the news about these new physics-based methods that showed so much promise for weather forecasting. Impressing those who attended the International Meteorological Committee meeting in 1919, Bjerknes was selected to head the Commission for the Exploration of the Upper Atmosphere—a position that lent him enormous authority and influence within the discipline. He used his position to seek information on the connections between meteorology and aviation in European nations as well as to "sell" the Bergen School program. Bjerknes remained at the Bergen Geophysical Institute until 1926, when he accepted a post as the chair of the Department of Applied Mechanics and Mathematical Physics at the University of Oslo. In addition to continuing his meteorological studies, Bjerknes carried on the hydrodynamical research started by his father, Carl Anton, in the 19th century. Bjerknes also planned to write a textbook on theoretical physics but completed only the first part of the project—a book on vector analysis. Bjerknes retired in 1932 but remained active in meteorology and geophysics organizations and issues. That same year he became president of the Association of Meteorology of the International Union of Geodesy and Geophysics. During the worldwide depression of the 1930s, he wrote numerous articles on science policy that argued for increased governmental support for basic research at Norway's universities as a way of overcoming unemployment and economic depression. Bjerknes received many awards and honors during his long life. He was elected to a number of national academies—organizations that include only the most respected scientific minds—including those of Norway, the Netherlands, Prussia (now part of Germany), the United Kingdom, and the United States. He also received the Agassiz Medal for Oceanography (1926), the Symons Medal for Meteorology (1932), and the Buys Ballot Medal for Meteorology (1933). Vilhelm Bjerknes died in Oslo on April 9, 1951, at the age of 89. In the early 20th century, scientists conducting research on phenomena associated with weather and climate were just as likely to come from mathematics, physics, or astronomy backgrounds as from meteorology. One reason was that there were very few institutions of higher learning that focused on what we now call geophysics—the physics of the Earth. Consequently, individuals who had trained in other scientific and mathematical disciplines and became intrigued by atmospheric problems often attacked those problems from the distinct viewpoints they had gained while in graduate school. Although it might seem that meteorology and climatology would have advanced more quickly if this specialized training had been available sooner, that might not have been the case. Sometimes there is an advantage when people see problems in a different way. That was true for the mathematically educated Milankovitch—and it was also true for the meteorologist-scientist of this second decade: physics-trained Vilhelm Bjerknes. What is classified a hot temperature in weather?